Cleansing and clarifying masks, typically of the clay variety, have been staples in my routine for such a long time now. I don’t know what my blemish prone skin would do without the calming, spot reducing properties that these wonderful masks possess. I try to use a clay based mask at least once a week, as it really does make such a difference to the overall clarity of my skin, so I’ll run through a few favourites if you’re in the market for a new one! First up is my most used mask, the amazing REN Invisible Pores Detox Mask. I’ve repurchased this three or four times now, as it does do wonders for really refining the look of my skin. Now, pores obviously don’t disappear, but they do appear to reduce in size plus the clay draws out impurities so you’re left with cleaner and more clarified looking complexion. A perfect one if you’re new to clay masks, as it really gets the job done and it’s the cheapest of the three too! Next is the Elemental Herbology Facial Detox Mask which is one I highly rate. It calls itself a purifying mask and I totally agree, as its slightly thicker clay texture and natural properties means it really gets into your pores and cleans out all dirt and grime. I really like this one and it’s been a staple for a long time. Finally, a slightly newer addition to my collection, the Aesop Chamomile Concentrate Anti-Blemish Masque. Now, I have a bit of a love/hate relationship with this mask as it’s absolutely brilliant at cleaning deep down and refining skin, but it does bring everything to the surface so you tend to be a bit spotty for a few days after using it. When that clears though, you’re left with much nicer skin! I tend to keep this to once a month use, or when my skin is feeling particularly congested! 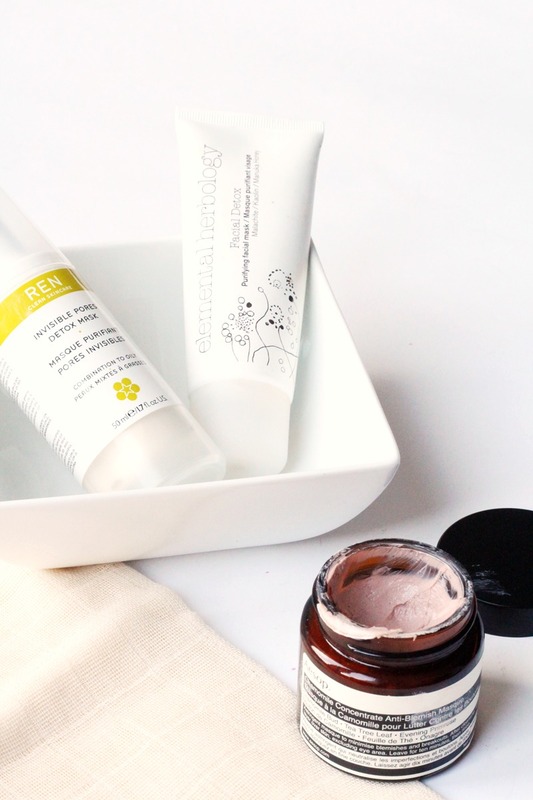 So they’re my favourite clay masks – let me know yours! Oh and check out my blog sale, as it ends soon!